by Zomona Brown | Jan 29, 2018 | Diversity, Leadership | no comments. 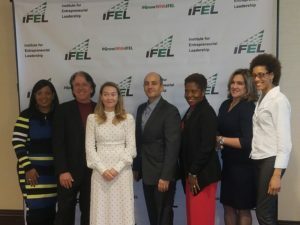 Last week, Newark, NJ based Institute for Entrepreneurial Leadership (IFEL) held it’s 10th Annual Next Level Conference and Awards. The attendees were comprised of current and future entrepreneurs. 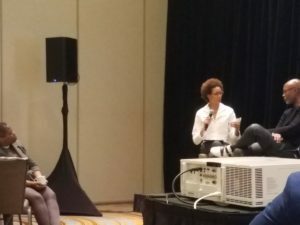 The event had five speakers: Emmet Dennis Jr. (Sundial Brands), Ethan Chazin (The Chazin Group), Twyla Garrett (Investment Management Enterprise), Polly Rodriguez (Unbound) and TCGi’s CEO Avis Yates Rivers. 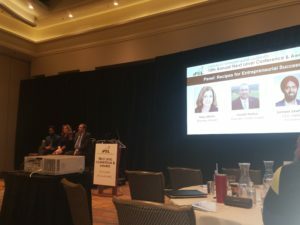 Topics ranged from the highs and lows of entrepreneurship, how tragedy can lead to the next great idea, investors and more. Entrepreneurship is near and dear to the core of TCGi and CEO Avis Yates Rivers, as she has been an entrepreneur for over 30 years. The IFEL event came at a pivotal moment for TCGi, our 10th year anniversary. 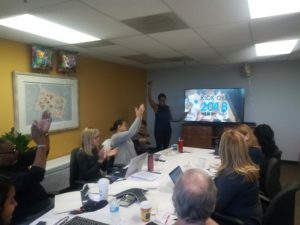 To celebrate, we held our annual kickoff meeting. The day consisted of presentations from all of our teams, and was filled with 2017 reflections, while presenting future goals and strategies for a successful 2018! 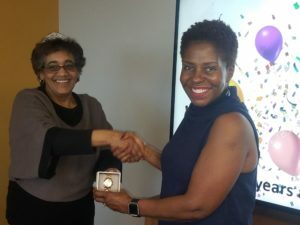 We also celebrated our office manager, Elizabeth Shelton, on her 10th year of being with TCGi. About IFEL: The Institute for Entrepreneurial Leadership (IFEL), founded in 2002, is an independent, not-for-profit organization that supports economic development through entrepreneurship. Their programs help ambitious “every day” entrepreneurs gain access to the knowledge, networks and capital necessary to succeed in business. 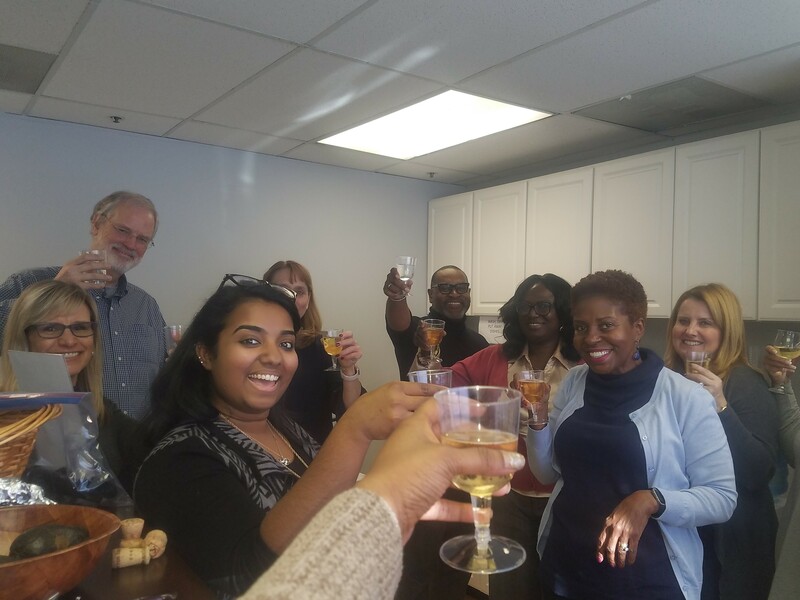 Their efforts to support small businesses stimulate an entrepreneurial spirit within the community at-large and empower residents to realize their collective potential.